Designer Custom Source is proud to present Optimal Comfort cushion technology. 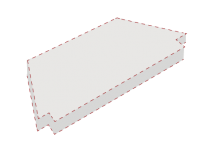 Our Optimal Comfort bay window seat cushions inner fill is the ultimate in plushness, retention and weather resistance. Why? 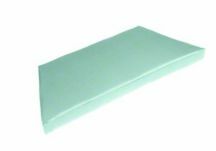 We start off with a quality foam placed between two MicroGel Memory foam pieces, which is then wrapped in a cumulous batting, and placed inside a waterproof ticking; The ultimate choice in luxury for both indoor and outdoor applications. Optimal Comfort custom bay window seat cushions will finish the look to any clients home by allowing for true customization at your fingertips. Your client has a choice of indoor/outdoor fabrics, welting, thickness, and ties. If your client does not find the perfect fabric for their business or home, we do accept COM fabric at no extra charge. Let Designer Custom Source provide the best possible made in America cushion product for all living spaces. © 2011-2019 Designer Custom Source. All rights reserved.